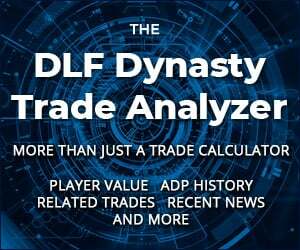 The arrival of NFL Draft season brings with it many things that we as dynasty owners thirst for, including transactions in the NFL and our own dynasty rookie drafts. As we dive into our rookie drafts, it is our nature as dynasty players to compare the current crop of rookies to the previous year as a way to gauge the potential value of draft picks and the players they will soon become. Another exercise many complete as during a rookie draft is to look forward to the rookie class a year down the road. This is often done as owners contemplate trade current picks for future value. With this in mind, I thought it would be a fun exercise (and hopefully a useful tool) to rank the past two rookie classes, along with the potential rookie class of 2016, from a dynasty perspective. My ranking methodology will be simple. I’ll rank my top 75 players from the rookie classes of 2014, 2015 and 2016 as I value them today. This means the potential rookies from 2016 are at a bit of a disadvantage since they are a year away from an NFL roster and are of course, more of an unknown asset. Ranking this same group on talent alone without factoring in team situation or NFL Draft position would look quite different. Also, as often as I make adjustments to my rankings, things could change quickly by the time this series concludes. Finally, I will admit if I performed this task ten more times, I would come up with ten differing lists. In this edition, I’ll rank the middle group of 25 players leading up to my top 25 rookies, sophomores and draft eligible devys. After a breakout freshman season for Penn State, quarterback Christian Hackenberg struggled in his second season, but how much of that can be placed on the shoulders of a weak offensive line compared to Hackenberg’s own faults? That question will be answered during his junior year, which is also likely his final college season. Hackenberg has a chance to be the top overall draft pick in the 2016 draft and has been the center of a rumored reunion with Bill O’Brien, current head coach of the Houston Texans. Expect to hear Chip Kelly/Marcus Mariota type stories about these two for the next ten months. Love these articles and analysis. Well done, Ryan! Since everyone loves to criticize the writers and their lists, I will go ahead and throw out that Landry seems a little low on this list. With Wallace gone, and a history of good performance last year, I think I would place him a little higher. Especially over some of the college WRs. But I don’t get paid to analyze and write these articles. Thanks for your hard work! Anxiously awaiting Part Three and rankings 1-25!!! Me too! Where are they?!? !